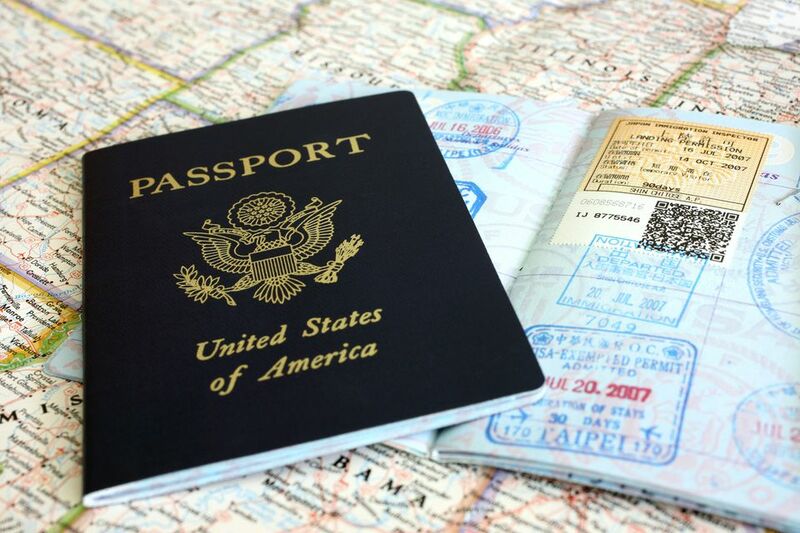 A passport is an easily recognized travel document that identifies you and authorizes you to travel. If you're from the United States, your passport will be a small navy blue booklet, which contains your photo, name, date of birth, residence in the United States, and plenty of blank pages awaiting stamps. Your passport will usually be valid for 10 years. You'll generally need to apply for a passport in order to leave and enter the United States from any other countries. Whenever you arrive in a new country, you'll have to hand your passport over to immigration, who will stamp one of your pages with their country's official seal. It's as simple as that. So, if you want to take a trip abroad, you'll need to apply for a passport, and using it overseas is as simple as handing it to immigration whenever you arrive in a new country. For more information on the application process and where you'll have to use your passport, keep on reading. Don't have a passport yet? If you're a U.S. citizen don't panic, as applying for your passport is much easier than you think. That's if your U.S. citizenship is fairly straightforward and you have access to various forms of identification. What do I mean by that? Well, if you can produce a U.S. birth certificate, a record of your birth abroad, naturalization certificate, or certificate of citizenship, you're good to go. You'll also need to prove your identity, which can be done with a standard government-issued ID, such as a driving license. What If I Don't Have Any of the Above? It'll be a little trickier to apply for a passport, but by no means impossible. If you don't have a birth certificate for whatever reason, you'll have to spend some time gathering as much evidence of your identity as possible. For a full list of acceptable forms of identification, how to apply for a delayed birth certificate at your current age, and how to use a Letter of No Record to help you complete your application, take a look at our guide to getting a passport without a birth certificate. Need a passport in a hurry? You absolutely can get one quickly, and you absolutely do not have to pay someone else to do it for you. Take note that there are a lot of scammy services that take your money to do exactly what you can do yourself—and they'll usually be right at the top of the search page results in Google. You can even get a passport the same day you apply by rushing your passport application. The government provides a simple way to check the status of your passport application online, which is especially useful if you've got a trip fast-approaching and need to get your hands on it before you leave. Do I Need a U.S. passport in Mexico, Canada, and the Caribbean? And, Um, Why Do You Need a Passport? Travel is one of the best possible things you can do for yourself, and venturing outside of your home country is an experience that can't be imitated or replaced. Travel opens your mind and challenges your perceptions. It exposes you to other peoples' situations and realities, many of which are far worse than you'll ever personally experience. It gets you out of your comfort zone, which helps you prove to yourself that you're capable of more than you believed. You'll learn just how fortunate you are to be a U.S. citizen with a U.S. passport, and how it's something other people would die for. In short, if you have the money and the time, there are very few investments as valuable as travel. So get that passport, buy that plane ticket, and get out there and explore the world.